This is Our Time 2 Take A Stand! 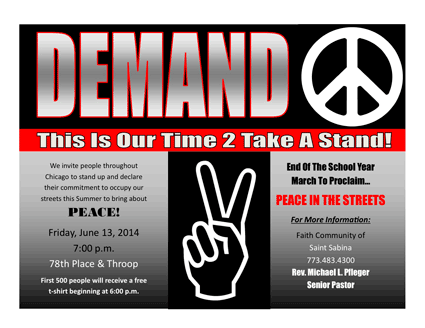 We invite people throughout Chicago to stand up and declare their commitment to occupy our streets this Summer to bring about PEACE! First 500 people will recieve a free t-shirt beginning at 6:00 p.m.